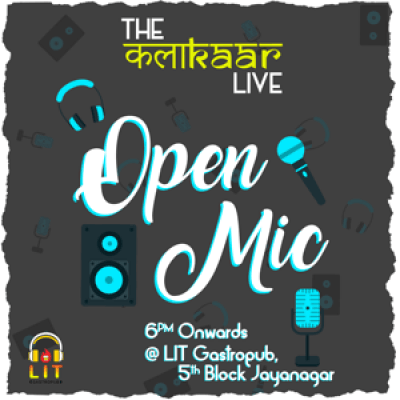 Calling all the Poets, Shayars, Storytellers, Singers, Stand Up Comedians, Rap Artists, Guitarists & Hip-Hop Artists to take part in this amazing Freestyle Open Mic Event. 1. 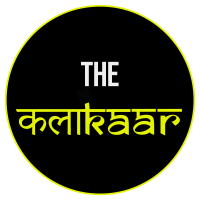 - Works performed can be in English Hindi, Urdu or Kannada. 2. - Genres: No restriction. Poetry, Monologues (including stand-up comedy), songs, stories, it’s all good. 3. - You can perform ONE piece for a maximum of FIVE MINUTES. 4. - Only solo or duo performances; no groups please. 5. - Names will be called at random from the first 22 to register, Your name will be called once. If you don’t answer and come up immediately, you lose your slot. 6. - You can recite, declaim, shout, you can sit, stand or lie down; you can dance, turn a cartwheel, play a musical instrument, or scratch your back while standing on your head, as long as you perform your words. 7. - You get the use of the microphone. No other arrangements will be made for your performance. If you want to carry a prop, or a musical instrument (acoustic only), please do so. - If you exceed Five minutes, you will be told, and you must leave the microphone immediately. 8. - Prohibited: Things that hurt sentiments of the People Present in any way, explicit sexual imagery, slander, anything that flouts the laws of India. If you have any doubts about the appropriateness of your work, please ask the host. * If you want the initial slots: Punctuality is the Key!